Introduction and Interview ; Alap ; Vilambit Bandish in Eik-taal: “Saajan Bhool Gayey”; Drut Bandish in Teen Taal: “Saanwal Raa”. Second Vocal: Qadir Shaggan; Sarangi: Allah Rakha; Tabla: Abdus Sattar Tari. Recording Courtesy: Lok Virsa, Pakistan. This is a PTV recording possibly from the late eighties. Recording Courtesy: Khawaja Khurshid Anwer – EMI, Pakistan. Magnificient bandish, from the Gharanon kee Gaiki collection, recorded and produced by the Khwaja Khurshid Anwer in the seventies. Traditional Bhairon bandish sung in Ramkali. Also from the the Gharanon kee Gaiki collection. Interview; Alap ; Vilambit Bandish in Eik-taal: “Yaa Ali Wali”; conversation and meerkhand demonstration; Drut Bandish in Teen-taal: “Aar paar” . This is 2nd part of PTV recording… near the middle of the vilambit performance Ustad Shaggan’s outlines his gharana lineage, father’s instructions on continued study and gives a brief demonstration of meerkhand singing. from the the Gharanon kee Gaiki collection. Solo performance perhaps from the early eighties. Beautifully melodic bandish. Introduction; Alap ; Madh-leh Bandish in Teen-taal; Drut Bandish. Second Vocal: Qadir Shaggan; Sarangi: Allah Rakha; Tabla: Mohammad Ajmal. Live Mehfil, March 2006 in Rawalpindi. Brilliant performance, full of character and grandeur. Second Vocal: Qadir Shaggan; Sarangi: Faqir Hussain; Tabla: Sajjad Ali. Classic archival recording possibly from the early/mid seventies. Classic archival recording, note lakshan geet in alap. Ghulam Hassan Shaggan, along with his father and family, moved to Pakistan in 1947 and settled in Lahore. His father Bhai Lal was appointed music supervisor at Radio Pakistan where he started performing at Radio Pakistan. This was a time of intense emotional and financial troubles which abated over a period of 12 years, as Shaggan Sahib gained recognition and started performing more frequently at Radio Pakistan, The All Pakistan Music Conference (Established 1959), and other events in Pakistan and abroad. Among several titles and awards, Shaggan Sahib received the Sangeet Samrat at the music conference in Calcutta in 1962, the Pride of Performance in 1988 and Sitara-e-Imtiaz in 2000 from the Government of Pakistan. Ustad Shaggan received countless awards and titles during his 1962 tour of India. He was conferred with the titles of Sangeet Rattan, Sangeet Alankar, Sangeet Samrat, Sindh Sangeet Mandalam and King of Music from the Sindh Sangeet Mandal in Bombay. On the same tour he was presented with a certificate of recognition by sarod maestro Ustad Hafiz Ali Khan. In recent years, Ghulam Hassan Shaggan has received recognition in the Europe as an outstanding representative of the North-Indian classical music tradition. His talent was first recognized and expounded by French musicologists Gerard Kurgijian and Martina Catella which led to performances in France, Sweden, Spain, Switzerland, Germany and the UK. Ghulam Hassan Shaggan also collaborated with the alternative/trance band `Fundamental`, contributing an arrangement of his original bandish in Raag Bhopali to the band’s 2001 album, There Shall be Love! 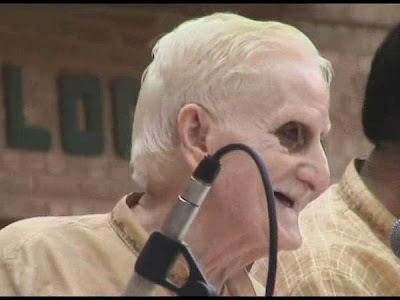 Shaggan Sahib currently lives in Iqbal Town, Lahore with his sons Qadir Shaggan (vocalist & music director) and Mazhar Shaggan (Rabab & mandolin player). At the age of 78, he continues to perform in public with youthful enthusiasm and the characteristic vigor of the Gwalior gayiki. He can be contacted at +92-42-7553303 and +92-300-9445107 and is ever accessible to well wishers and enthusiasts.